I just love my wine, and just like milk, wine does my body good. 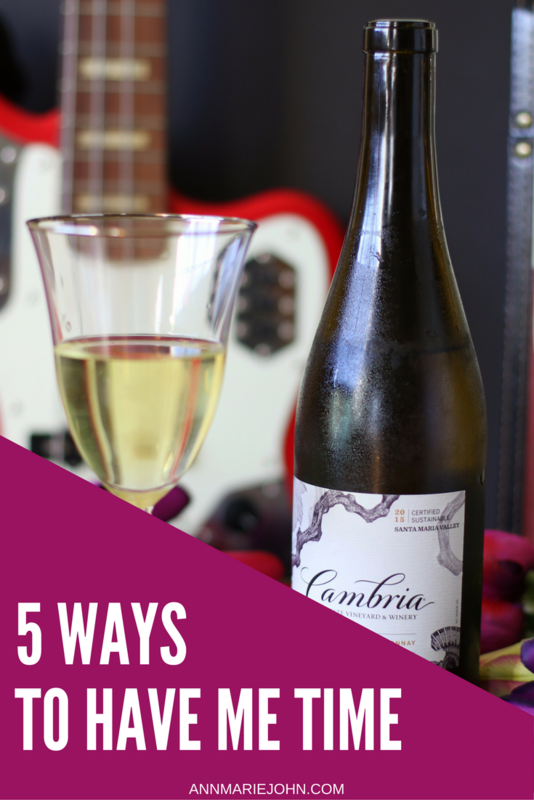 Together with Cambria Wines I want to share some ways you can have me time, and how Cambria Wines can help you do that, and it all includes music. Music and wine; they go hand-in-hand. Have you ever had a glass of wine sans music? It really isn't the same. The past few months have been crazy in my household, with getting the kids ready for back to school, there really hasn't been much time to dedicate to myself. Something that you should always think about. Whenever I do get a chance to myself, the first thing I always grab is a book and a glass of wine. I turn on some slow jams and just mellow out. Now I've never really thought of music and wine blending together so harmoniously until I listened to Cambria Wines: Notes of Cambria. Just take a moment and watch the videos below, and listen to how it all came together. This 4-part video series shows how pairing wine and music elevates your senses. 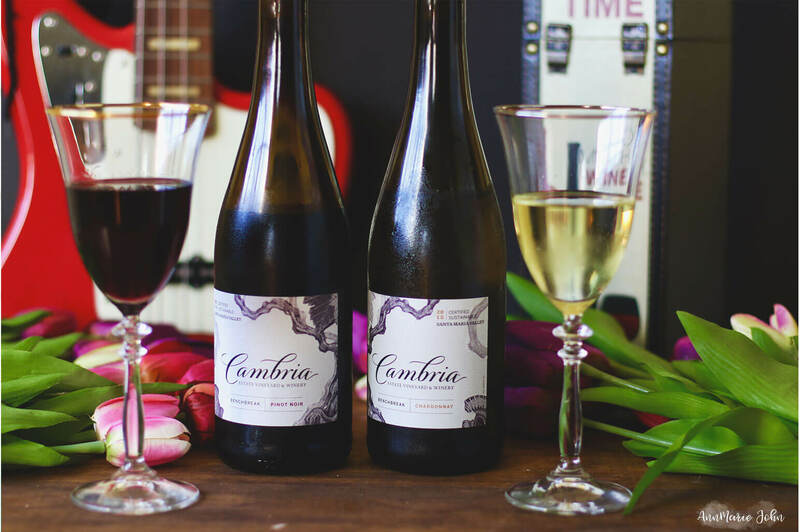 Cambria Wines challenged professional musician Kalei Yamanoha to create musical pieces that would capture the true essence and flavor of their Cambria's Benchbreak Pinot Noir and the Cambria's Benchbreak Chardonnay. Both wines are estate grown and bottled, high quality and immensely flavorful wines from California's Santa Maria wine region. I listened to the “Pinot Noir Waltz” and saw myself in a vineyard taking in the beautiful surroundings while swirling a glass of red Cambria's Benchbreak Pinot Noir. The haunting music just takes you away to an entirely new place. One where you just want to take a break away from the world and immense yourself in peace and tranquility. Listening to "Chardonnay Shanty" was an entirely different feeling altogether. The banjo playing made me want to kick up my heels and dance. It gave me a more energetic feel and begged me to invite friends and family over for a good time, while sipping on our crisp white Cambria's Benchbreak Chardonnay wine. 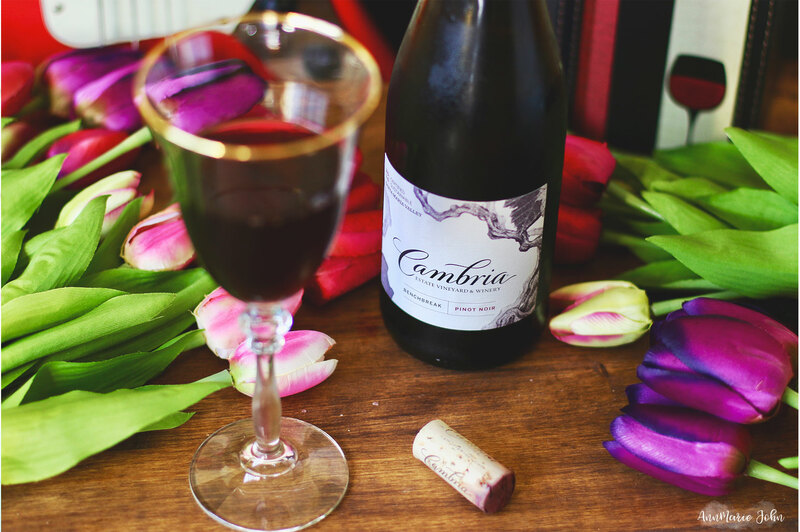 These musical pairings are a great way to experience, learn, and talk about wine with friends and family, but on the occasions where you would prefer to be all alone, having a glass of Cambria Wine will only make your alone time more pleasurable. Here are 5 ways you can have the perfect me time! When was the last time you went and just had a spa day all to yourself? Go out and get your hair done, get a manicure and pedicure, facial and just beautify yourself. Sometimes you just have to treat yourself, and you'll feel amazing when you do. If you're low on funds, then give yourself a manicure or pedicure and proceed with steps 2 - 5. Lock your bathroom door, turn off your cell phone for an hour or two and pour yourself a warm bubble bath. Turn the music up and let the warm bubbles relax you while you get yourself some me time. Self-care is very important and wine just tastes better in the tub. What's your favorite genre? Now you don't have to read a book while in the tub, but why not? Either way you'll be relaxing with a book that will transport you to another world. Once again, don't forget your glass of wine. Turn on some music. While I prefer listening to classical or jazz music, it's whatever music you prefer. Remember this is about you. Music has a way of relaxing you. Maybe turn on some music from the 70's or early 80's that will bring back fond memories of yesteryears. Throughout it all, don't forget your glass of wine. Whether it's the fruity flavors of a red wine or the crisp taste of white, find your favorite bottle of wine and sit back and relax. After all, it's your time! 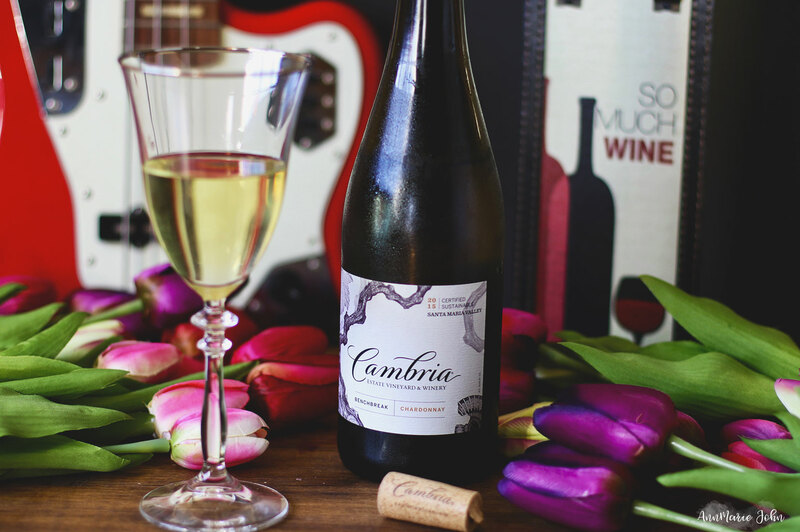 If you're still looking for a bottle of wine that will transport your sensibilities, use the Cambria Wines Store Locator and pair a bottle with some music today. A little music and a little wine sounds divine. I love that I have learned how to pair wine with music today, to be honest. It's rare I drink wine, but I do listen to music often. Now I know how to pair the two, totally neat information! This sounds absolutely amazing! Great wine and great music are a perfect pairing to get in some great relaxation. Oh yes! This is the perfect thing! I would love some Cambria wine, great music, and maybe a bath. I have never thought of pairing wine and music. Now that you've talked about it, it sounds like it just makes sense. You rock, I loved that music and wine pairing. It is not Friday night yet but I would love to try those wines when I can relax after a busy week. hmmm, the chadonnay sound lip licking good. me time is my thing! it my sound selfish but when your kids grow up you often get lost in feeling like you are missing something in life. i took the time to adjust to empty nest and well, i promise there is green grass on the other side! Sometimes I think me time is non existent as a Mom. But when I get it, I love my glass of wine! I could really use some Me Time. I barely get any (well, does food shopping without my kids count?). Great suggestions! I could totally do the bubble bath and glass of wine after my kids go to sleep tonight! I need to start pairing wine with meals and with music! That's definitely a good idea for "Me time!" Books sound like a good idea too! Chardonnay Shanty is such a fun tune! I think it's a wonderful idea to pair wine with music to get all of your senses involved in the experience. Wine, wine is always perfect for some much needed R&R! Especially these days when it feels more stressful, with work starting and all that's going on around us. It's definitely much needed! I've never thought about it, but this makes so much sense! I'm planning for a bubble bath sometime this weekend! This first full week of school was crazy! I love a good wine at the end of the day. It is a perfect way to relax and get some me time once the kids are asleep. IO have never tried this brand so I will have to look into it. This is my kind of way to relax for sure!!! Nothing better than a delicious glass of wine. I need to look for this! What a great way to appreciate wine more, through music. I think it's awesome that you shared that series of videos, it's really nice to listen to what our fave wines would sound like. Very accurate too! I love pouring myself a glass of wine and enjoying a quiet evening of Netflix or listening to music. It's a great way to unwind. This is the first time I have read about wine and music pairing. I think it is an awesome new way to enjoy good wine. I will listen to the Notes of Cambria and download it then get the wines that would pair perfectly with the music. I'm in for a relaxed, quiet evening at home with my husband. Our me times are almost identical. It is the best time I get! Me time and wine time goes hand and hand, does it not? I know nothing about wine but I sure do enjoy it. It sounds like a lovely experience to pair wine with music and me time. I definitely could use some of that! I love me some me time! I've never heard/tried their wine, thanks for sharing it with us! I'm in love with the Chardonnay Shanty. I simply can't stop listening! It's my favorite wine too. I love this company and their music pairing with wine! So brilliant.